"Evil Triumphs When Good People Stand Idly By"
The Broward County Crime Commission is one of the foremost and pioneering Crime Commissions constituted in the United States. Established and Founded by Frank R. Pinter in 1976, the Crime Commission was initially constructed as a civilian monitor for the Criminal Justice System. It evolved out of a concern and petition from the citizens of Broward County, to ensure that Law Enforcement was properly funded and allotted the maximum resources to fight crime in Broward County. Today, the Broward County Crime Commission’s primary purpose is to study, report and make recommendations in all areas of public safety and public protection. With an expressed interest in continually improving the Criminal Justice System, one of the main edicts of the Crime Commission is to preserve the integrity of the governmental process, so that law enforcement is well equipped to better protect the citizens of Broward County. As such, the Broward County Crime Commission seeks innovative solutions and works in cooperation with federal, state, county and local law enforcement agencies. Valuing these relationships, the Crime Commission serves as both a liaison of public sentiment and a resource of information to Broward County’s 38 criminal justice agencies regarding a myriad of public safety issues, including but not limited to: training, public security, business intelligence policing, human resources, police science & technology, inter-agency cooperation, and law enforcement finance & economics. Additionally, the Crime Commission promotes citizen communication and involvement via a variety of community-based initiatives. Business Hours: 9:00 a.m. to 5:00 p.m. Submit a Citizen Service Request. 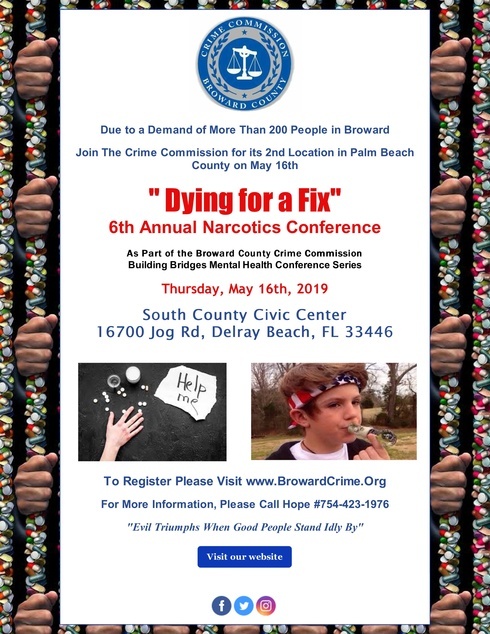 Disclaimer: Sponsorship, Underwriter, Contribution, and Event proceeds go toward covering both the hard and soft costs of the Event before, during, and after the Event; as well as expenses affiliated with the Broward CountyCrime Commission’s ongoing Criminal Justice and Community Outreach Programs throughout the calendar year, including but not limited to research, planning, writing, printing, postage, human resources personnel, and distribution associated with the Crime Commission's CSI: STEM Leadership Youth Summer Camp, its Building Bridges Mental Health Conference Series, its Ministry Outreach Program and Crime Commission White Paper Criminal Justice studies. U.S. Public Safety and Management is a Florida Corporation whereas its functions include but are not limited to: research, logistics, strategic planning, general management services, manuscript activities, editing processes, layout design work, event planning, event organizing, and project management, among other practices. In certain instances, U.S. Public Safety and Management has entered into an agreement with the Broward County Crime Commission in facilitating some the aforementioned specializations. 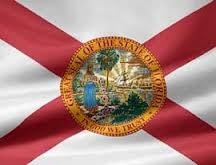 Some of theprincipals of the Broward County Crime Commission are also principals of U.S. Public Safety and Management.